The largest running-related expo in the Western Cape takes place at the Good Hope Centre in Cape Town from Wednesday 20 to Friday 22 April. This lifestyle expo offers visitors the chance to browse through all sorts of interesting exhibits with everything there is to know about road running and related elements under one roof. The Expo is open on Wednesday 20 and Thursday 21 April from 10h00 to 19h00 and Friday 22 April from 09h00 to 17h00, with registration closing at 19h00. As the official registration point for the ultra and half marathon, as well as the trail runs, this Expo attracts close to 50 000 visitors over the three days. Over the years, it has become much more than just a running expo, and now includes top sporting brands, apparel, supplements, outdoor adventure sports and sporting tours, to name just a few. It is an opportunity for all sport enthusiasts to experience the latest trends in the running and sporting arena and to be part of the exciting atmosphere leading up to the ‘world’s most beautiful marathon’. It also hosts the PUMA Store where visitors will find the latest PUMA products and special commemorative event merchandise. Runners who have entered either the ultra or half marathon, as well as the trail runs, will need to collect their race number and goodie bag at the Expo as well. Norrie Williamson, the Old Mutual Virtual Coach, will be at the sponsor’s stand with pacing charts and some final race tips. With all this on offer, runners are encouraged to bring their family and friends to race registration and make a day of it. Local runners are also encouraged to register early to avoid the crowds on Good Friday, which is when most of the out of town and up country visitors tend to register. The PUMA Store will have a wide selection of PUMA product and Two Oceans memorabilia on sale at their store and runners will receive a 25% discount on all their purchases when presenting their race number at the Expo. They will also bring their FAASlab, which sees the normal store transformed into a Jamaican experience and celebrates the Jamaican Athletic Federation and, of course, Usain Bolt – the world’s fastest man. PUMA will introduce Usain Bolt’s FAAS Test – sprint on their mini track and the fastest man and woman during the three days of the Expo will win a 1 year PUMA Running Sponsorship worth R10 000. If nothing else, compare your speed to that of Usain’s! The FAASlab will show off their latest footwear – the award winning FAAS 500 and 300 minimalistic, lightweight running shoes and they will have their ambassadors Elana Meyer, Dan Hugo, Jacques van Rensburg, Leanne Juul and their running category manager Collin Allin, on hand to assist visitors to the stand. 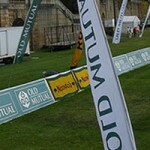 Trail Run: Just over 800 runners will take part in the trail runs, which take place from UCT on Good Friday 22 April. There’s a 10km and a 20km trail run, which start at 07h30 and take runners along the lower slopes of Devil’s Peak and nearby forests. International Friendship Run: Close to 1 000 international runners and their families and friends will run the International Friendship Run from the V&A Waterfront, starting at 09h30. 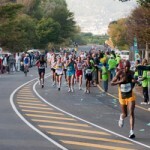 The runners will take a leisurely 5km jog or walk from the new start at the Waterfront, along the Atlantic Seaboard, taking in the Cape Town Stadium and Green Point Park, past historical landmarks and key points of interest. Participants will be stopping along the route, just outside the stadium, to hand out school shoes to underprivileged kids as part of the Bobs for Good charity drive. After the run, participants can mingle, exchange running T-shirts and training stories while enjoying some truly South African entertainment and a light breakfast at the Waterfront’s Amphitheatre. Fun Runs: These take place on Good Friday 22 April from the UCT Upper Campus in Rondebosch and are a great way to introduce kids to running. There’s a distance to suite every member of the family and runners and walkers of all ages are welcome to take part. Make this a family fun day, come along, experience the world’s most beautiful marathon, and see just why everyone wants to a part of this fantastic event. There’s also loads of exciting prizes to be won, including PUMA gear. For more information contact 021-699 0615, email funrun@twooceansmarathon.org.za or visit the websites www.twooceansmarathon.org.za or www.wpa.org.za. Number collection and late entries will take place either at the Expo at the Good Hope Centre on Wednesday 20 and Thursday 21 April or on race day at the UCT rugby fields from 09h00 onwards. 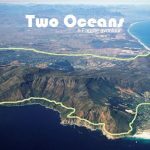 Ultra and Half Marathon: A record field of close to 23 000 runners will line up for this year’s Old Mutual Two Oceans Marathon. The half marathon will have just over 14 000 runners and the ultra just under 9 000 runners, making it the biggest field in the event’s history. 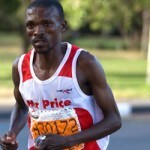 The race will be televised live on SABC 2 from 06h30 through to 10h30.